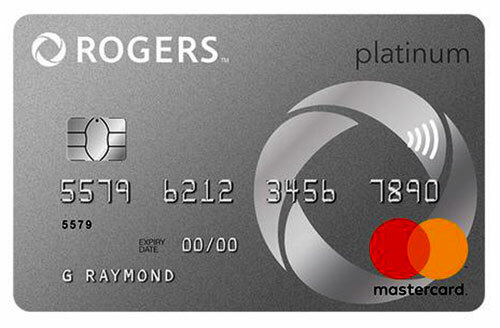 You are here: Home / Business Ideas / Should I Apply for Rogers Platinum Mastercard? Should I Apply for Rogers Platinum Mastercard? I’ve been asking myself if I should apply for Rogers Platinum Mastercard since I’ve been looking for a credit card for all of my side hustle expenses. The expenses include hosting, domain, software, office supplies and other expenses that is necessary. So you see, I’m not getting another card to earn more cash back rewards so I can shop clothes etc. There are a lot of reasons which you’ll find out later that you might consider getting Rogers Platinum Mastercard even if you don’t have an online business. The first thing that I’m looking for a business credit card is that it has NO foreign currency transaction fee and NO annual fee like the Amazon.ca Rewards Visa. I’ve been using it for years for personal and business transactions. The fate of Amazon.ca Rewards Visa is a bit gloomy since it is NOT available for new applicants as of 3rd of April. For now, I’ve been saving from foreign fees while earning points on Amazon.ca and other purchases. But it’s time to organize. Reading online and offline and blogging have finally made me decide to apply for Rogers Platinum Mastercard. Take the time to read the blog post I linked above to help you decide if it’s the right credit card for you. If it’s not for you at this time, well, I can guarantee that learning something new is not a waste of time. I have a new no foreign transaction fee and annual fee credit card: Home Trust Preferred Visa Card. The changes in rates will be effective on May 23, 2018 except the the no annual fee feature that starts since March 13, 2018. Earn 3% 4% on foreign transaction. Although the card is charging foreign currency transaction fee, you can still earn cash back which is somewhat greater than the fee. Earn 1.25% 1.75% on purchases in Canadian dollars. This rate is high for cash back credit card (not sure anymore). It even comes close to Tangerine Money-Back Credit Card. What I like about Rogers Mastercard is that the rate applies to all purchases unlike the Tangerine Mastercard. Both have pros and cons that’s why I’m keeping both for now. Earn 2% on Rogers products and services charged to your card. It includes your Rogers, Fido, and Chatr monthly bill. Save on NO annual fee in the first year. And you don’t have to pay the $29 annual fee as long as you have a pre-authorized payment to Rogers, Fido or chatr. As a Fido customer, I only not get to watch VICE for free but also save on annual fee. I didn’t see this coming. Things do really happen for a good reason. Get $25 cash back rewards. All you have to do is to use the card within 3 months. That’s easy for a free money. I can use the welcome bonus to pay a portion of my Fido bill. And with the cash back rewards, I can continuously pay the phone bill. Not a bad plan, isn’t it. Here’s the link to the fine print if you’re interested. Maybe you can find more rewards within peewee words. Although I’m not fond of shopping online for clothes or subscription, I may shop online or in the stores of Rogers or Fido for gadgets or cellphone accessories. Tip: If you are looking for cash back rewards that could turn into cash, Amazon and Tangerine have the advantage over Rogers. The accumulated 2000 points in Amazon.ca Visa can automatically reduce $20 off the credit balance. While the Tangerine Money-Back Credit Card allows you to withdraw the cash back rewards as cash into savings account or be applied towards credit card balance similar to Amazon.ca Visa. So what do you think of Rogers Platinum Mastercard? It has advantages and disadvantages like the other credit cards I’ve mentioned. But if you think it has more advantages and you are ready to get it and responsibly use a new credit card, then it’s time to go online. It took me less than a week to get an email saying that I was approved. The card will arrive in the mail within 10 days. Now I’m ready to shop. It’s more like I’m ready to organize. Finally, my bills is stashed in one folder along with the cash back rewards. Note: The first time you use the Rogers Mastercard to shop online, you will have to create a Mastercard SecureCode. Yes, that’s another PIN for an extra security for online shopping. Honestly, I’m getting obsessed in earning cash back rewards which I should have been years ago but I wasn’t qualified (a newcomer without credit history) back then. Now I get credit card offers in stores to which I happily decline. Personal finance bloggers suggest to have 2 to 3 credit cards. And that’s a good rule of thumb. The trick is to use the credit card to your advantage. My takeaway is earn rewards on expenses that are important for personal or business use. What cash back credit card do you have and how do you prefer to redeem the rewards? Rogers Bank Credit Card seems to have pretty good benefit at a glance but there’s a lot of hidden issues if you use it everywhere. You gain small cash back benefits by using it, but the troubles it causes later is not worth it. The truth is that Rogers Bank is not a real bank and they don’t have the leverage other real banks have. For example, it’s almost impossible for them to reverse the charges immediately after you complaint about fraudulent charges on your credit card. You will have to go through a lengthy process of dispute(up to 90 days for a result) and even then you might not get the money back. I would definitely not recommend to use this credit card overseas or use it for any recurring billings. I also wouldn’t recommend to have other authorized credit cards under your account with Rogers Bank credit card. It turns out that when they said the authorized credit card is cancelled, it’s not really cancelled. When they send you a new card for upgrade, the old authorized credit cards become active again and all the old recurring charges which you were not able to disable for various reasons will come through again, even though they said that old authorized credit card was cancelled, and the new credit cards have completely different credit card numbers, the charges still will come through. Their customer service and dispute department representatives don’t seem very knowledgable about the services neither. They were not really able to explain to me why the problem is happening, nor are they able to connect me with anyone who can help me resolve my issues with their service. Should take a look at all these review before you consider getting this card. Thank you Liz for sharing your experience. So far I don’t have any issues in using Rogers Mastercard because I rarely use it. I have primary cards that I regularly use. If all else fail then I might use this card.